Inn Of The Mountain Gods, Ruidoso, NM - Dec 30th, 2018. 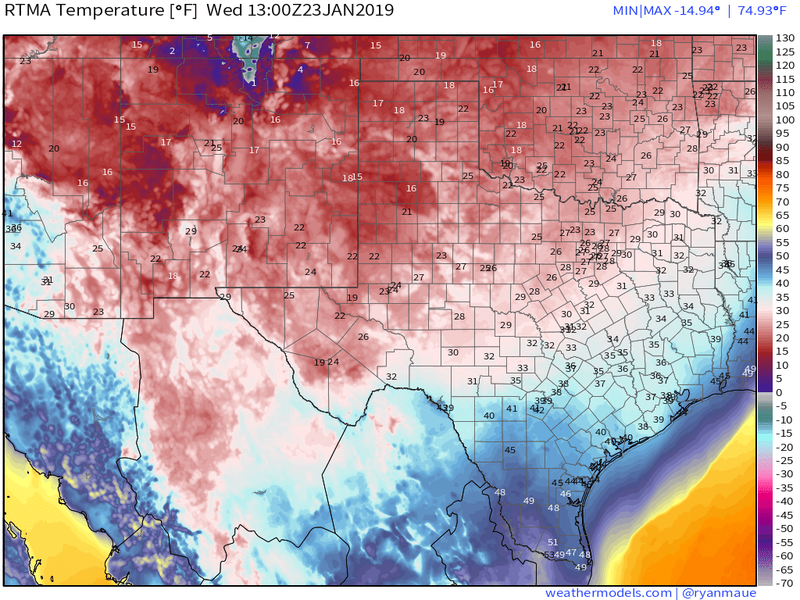 RTMA Temperatures At 6 AM MST This Morning. NWS MesoWest Reported Overnight Low Temps. 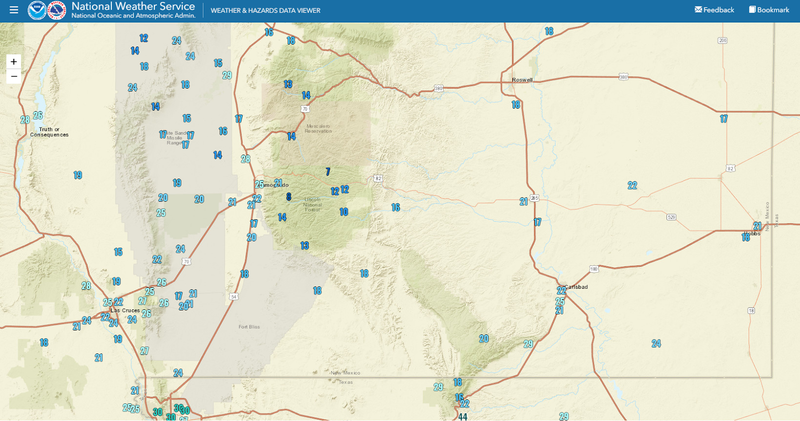 Davis WeatherLink PWS Low Temperatures. Weather Underground PWS Low Temperatures. It was just a tad chilly this morning with most of the valley locations reporting lows in the teens and 20's. The Arteisa Climate Co-Op Station came in with a low of 18ºF, Carlsbad Airport 21ºF, and the Roswell Airport 19ºF. 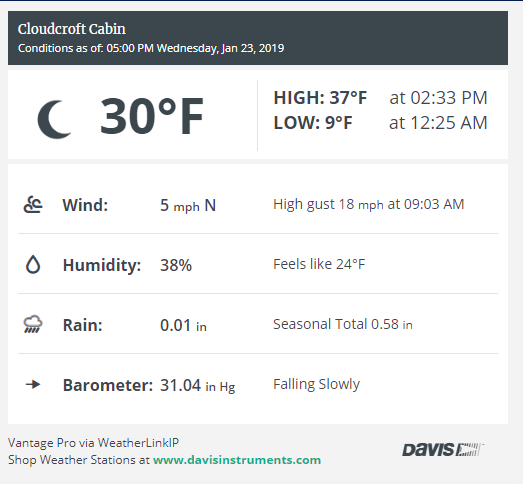 Here at our home in Carlsbad I dipped down to 23ºF. On this date in 1971 Prospect Creek, Alaska plunged to -80ºF to establish the coldest official temperature ever recorded in the United States.